Australian summers are hot. Even down in Melbourne, in the southern state of Victoria, daytime temperatures in January and February can exceed 40 degrees Celsius. Most Aussie animals take a very long siesta between 11am and 4pm. 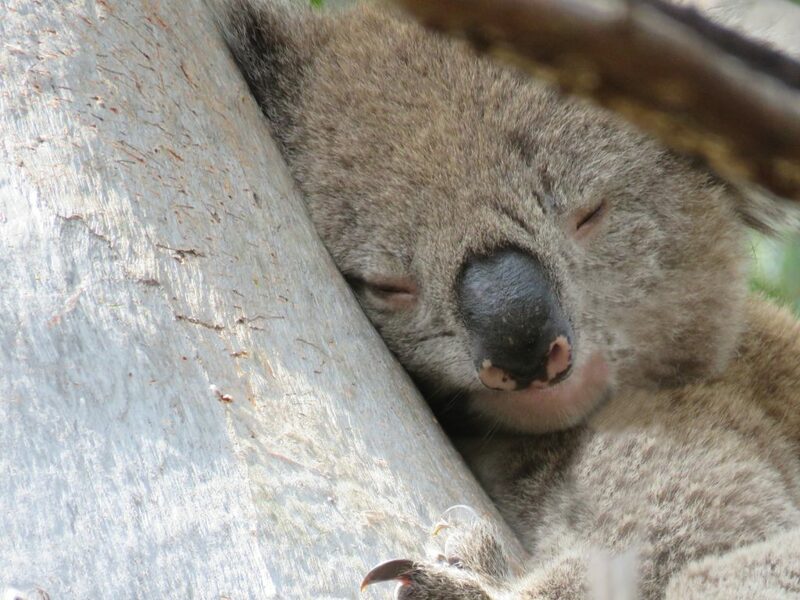 For koalas, a long sleep in the daytime is especially important, because summer is breeding season. Every night between November and March, male koalas wake up from their siesta with only one thing on their mind: Ladies. 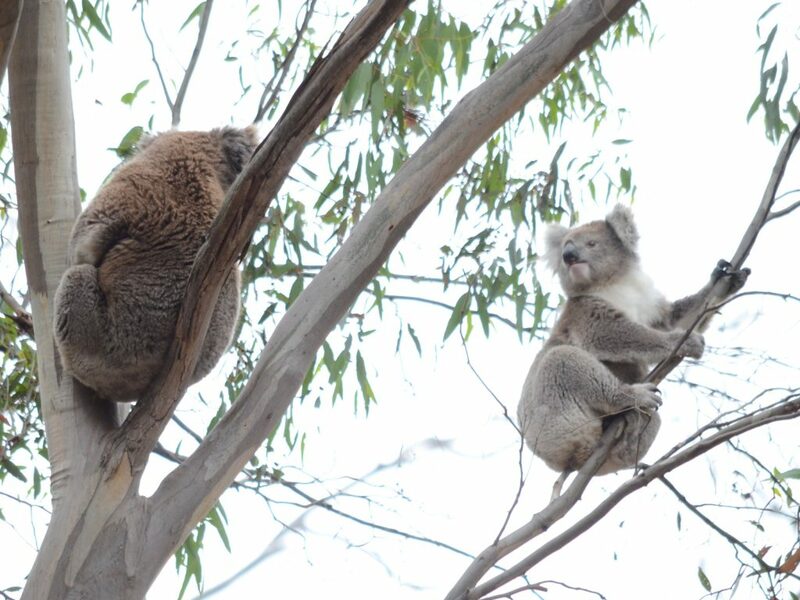 All this koala singing and travelling happens when humans are leaving The Bush to have dinner. So, let’s change that! Echidna Walkabout’s new Sunset Koalas & Kangaroos IN THE WILD evening tour is timed to co-incide with maximum wildlife activity. It leaves Melbourne city at 2.15pm, and doesn’t return until 9.30pm. 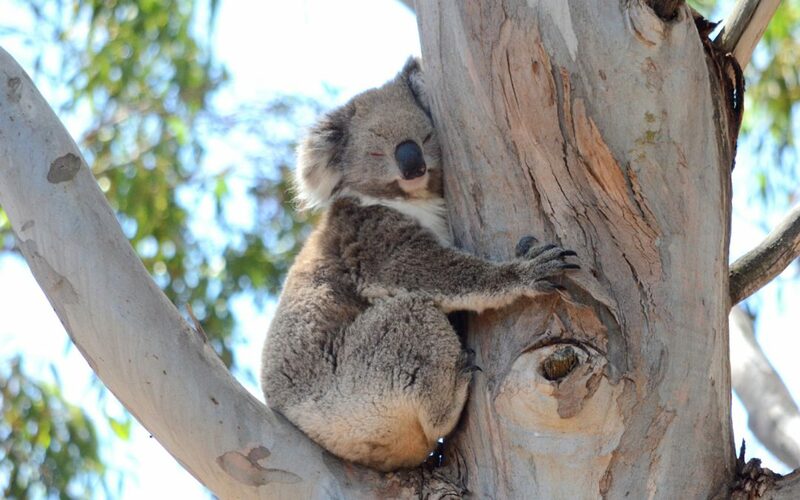 Tour participants will likely see koalas moving around, possibly even mating. Koalas don’t sleep all the time. Come out at sunset and we’ll show you!